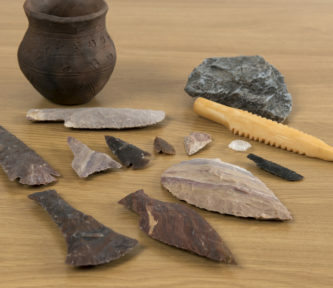 Imagine what life was really like in Stone Age Britain with this authentic collection of replicas. A great artefact handling opportunity! Why not turn your classroom into an Archaeological Dig? Immerse your whole class in Stone Age life. A fantastic tool for providing an artefact handling opportunity and a fun and engaging activity for the whole class. Encourage discussions about evidence, types of historical sources and much more! Handle flint objects with caution and care, adult supervision required. Contents may vary.